At last! The Infinix Zero 2 X509 also known as the The Next Hero has been launched on and released to the market after so much anticipation and waiting. For weeks it was tagged a name and hashtag #THENEXTHERO that was all over Social Media. 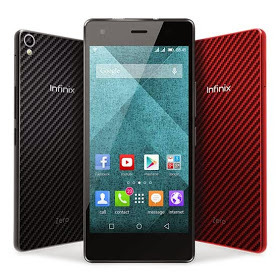 The newly launched INFINIX ZERO 2 is indeed a Successor to the Infinix Zero and may tend to go viral like the INFINIX HOT X507 that attracted so much Sales. Infinix Zero 2 is built with Kevlar Body, which makes it Tough as metal for handling severe falls. The device is pretty slim too with acute edges similar to the Infinix Zero, the screen has a Super AMOLED display and definitely very Light-weight at hand. In this Review, I'll take us Closer to the new Device so we can all see what it is really made of. 3.5G For Super fast browsing. The Infinix Zero 2 came with quality cameras which boasts to be among the Next Generation Cameras. 13MP at the Rear and 5MP in the Front, it ensures crystal clear pictures. The Camera also comes with smart gesture, which means, you can tell it to snap a photo when you simply wave your hand. The body is fully armed by KEVLAR which makes it tough to withstand unexpected rough Falls, the design is similar to the former Infinix Zero, but still proves to be Unique as it stands out as it proves to be very Light with weight of only 118g. The display size is 5-inch and offers 720 x 1280 pixels HD resolution (294 ppi). The new smartphone features a quality Screen that is AMOLED Powered, with crystal colourful display and protection guaranteed by its Corning Gorilla Glass 3 for anti-scratch. 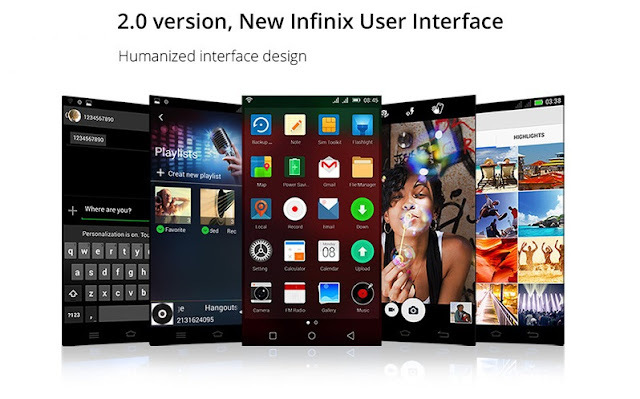 Infinix Zero 2 runs Android 4.4 Kitkat, although many people expected something sweeter like the Android 5 Lollipop on the new smartphone, the Infinix Mobility Team understands and may add this anytime when they provide a Software Update over the Air as they normally do. Great news is the new User Interface version 2.0 that came along with the Infinix Zero 2, this gave it a more pretty brilliant look. The Infinix Zero2 processor has a GPU (Graphic Processing Unit) with Mali 450-MP4, coupled with 2GB RAM this means the device will be very fast at multi-tasking and smoothly run Powerful HD Videos, Games and Apps. Playing Music on the Infinix Zero 2, whether directly from the phone's speaker or via headphones, quality sound is assured, the Music player comes with Equalizer for adjusting sound to your taste. As we said before the screen is already AMOLED Powered hence Watching quality videos that have high quality is another certain feature, With this device, you'll see things just they we way they exactly are. Infinix Zero 2 helps you to Instantly send and receive mails on the go. Chat, Share photos, Videos and engage in Social Media, with just few clicks, Instagram, Facebook, Twitter or whatever way you want, Infinix Zero 2 will connect you instantly. While the new Infinix Zero 2 promises to be another Amazing Product for us, We at EDITWEAKS will definitely have more experience to share here with you once we get our Hands On the new smart device. Infinix Zero 2 is ok, but trips off unpredictably and comes on again on its own if you have the patience to wait. Sometimes the contacts goes blant and you have to wait for sometimes for it to respond.